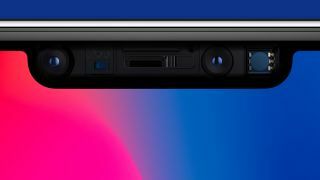 We've not really had chance to put the Face ID recognition system on the iPhone X properly through its paces yet - but according to those in the know, Apple is planning to add Face ID, and the TrueDepth camera that powers it, as an upgrade in its 2018 edition of the iPad Pro. That's based on a report from well-placed analyst Ming-Chi Kuo of KGI Securities, who has a decent record of predicting Apple's plans. Whether or not the home button will also get ditched on next year's iPads isn't yet clear, however. We're also waiting to see whether Apple will switch its tablet screens from IPS LCD to OLED, as it did with the iPhone X this year. The rumor is that the Cupertino company wants to roll out the new display tech across all of its devices in the near future. Putting Face ID on the iPad - or at least the iPad Pro - does make a lot of sense for Apple. It gives developers more reasons to start supporting the technology, for a start, and it shows Apple is serious about moving from fingerprints to faces as its default security method. Touch ID took the same route to market, appearing first on the iPhones before gradually rolling out to iPad models, and it sounds like Apple could have the same plans this time around. During the unveiling of the 2017 iPhones the company promised that Face ID was much more secure than using a fingerprint, even if it did fail on stage. All this depends on multiple factors, not least whether users take to the new tech and whether Apple can start making the required modules in high enough numbers - the complexity of Face ID and TrueDepth is said to be one of the reasons why the premium iPhone has been hit with delays.